People are putting drones to all kinds of uses. From being used to deliver packages quickly and efficiently to using them for surveillance, cartography, meteorology and rescue missions. However, India’s Minister of State for Civil Aviation, Jayant Sinha, has proposed that they can be utilized to solve another nagging issue i.e. India’s traffic woes. And in order to accomplish it, he has urged the bright minds at the Indian Institute of Technology (IIT) to develop passenger drones. 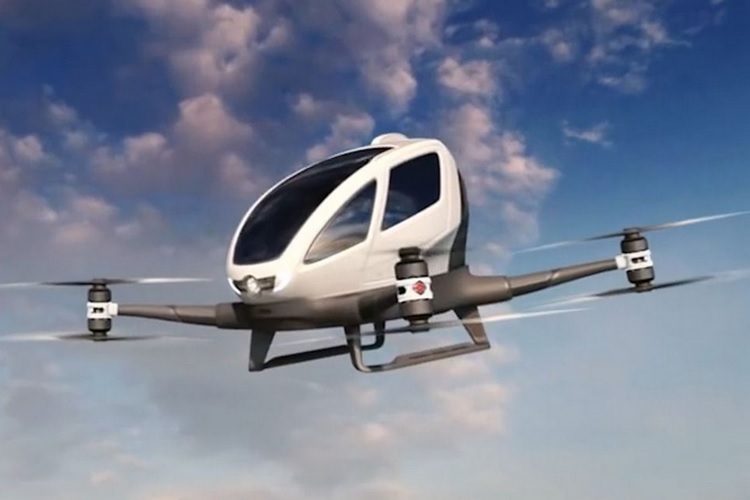 People are now working on creating passenger drones. We also need to develop our own technology to grab the massive opportunity in this space. He further revealed that the government is actively working on formulating regulatory laws that are aimed at boosting innovation in the field and encouraging people to invest in the domain. Drones are a massive opportunity. Like electric vehicles, drones will also use the same electric motors and batteries, but the only difference is that they will be in the sky. We are working on bringing in some set of regulations for drones that will help make the technology more progressive. He added that if developed efficiently, services powered by such aerial vehicles can be priced in the same range as fares commanded by semi-public transport such auto-rickshaws. Sounds far-fetched or achievable? Will it even work to solve the issue of traffic congestion in India’s major cities? Let us know through your comments below.